Originally published in 1931, this book presents a history of 'any experimental work ... which throws some light upon the psychology of reading'. 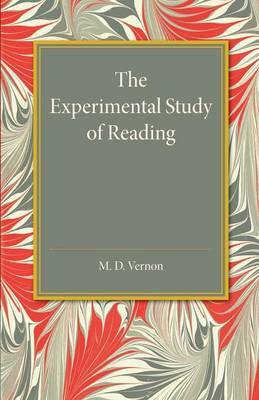 Vernon includes experiments on the subject of eye movement and visual perception, as well as investigations into the influence of typographical factors on the ease and speed of reading. This book will be of value to anyone with an interest in the psychological and physiological phenomena pertaining to reading.